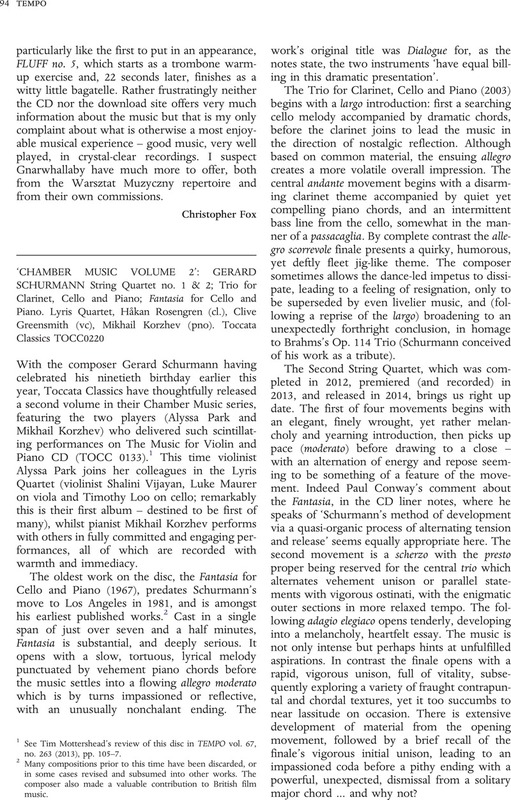 1 See Mottershead's, Tim review of this disc in TEMPO vol. 67, no. 263 (2013), pp. 105–7. 2 Many compositions prior to this time have been discarded, or in some cases revised and subsumed into other works. The composer also made a valuable contribution to British film music. 3 Schurmann, Gerard in interview in TEMPO vol. 39 no. 231 (2005).